Sundays we usually go to church together and have lunch with family or friends. This Sunday I had a gig to set up for. Sheena and Layla went to Sugar Creek Baptist Church to hear our friend Libin speak. 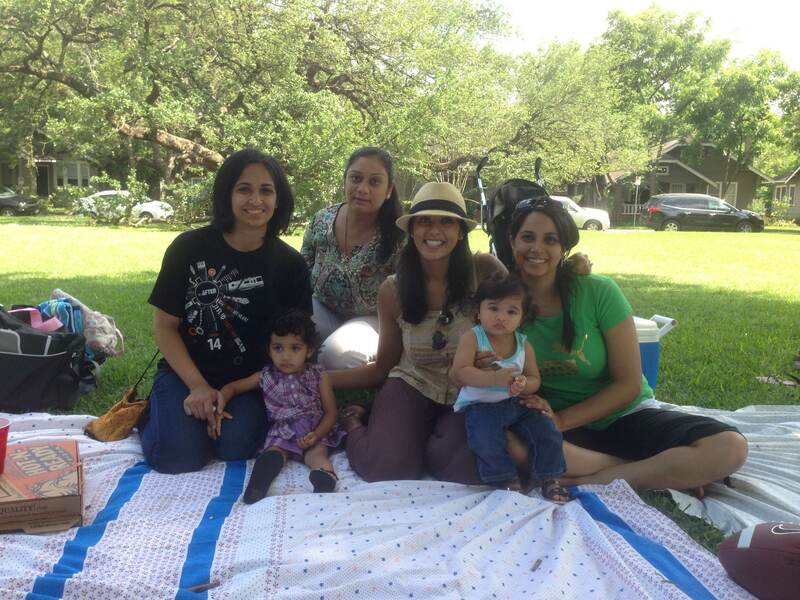 After setting up for the gig I met with Sheena and Layla and we all headed to the Menil for a picnic with friends. 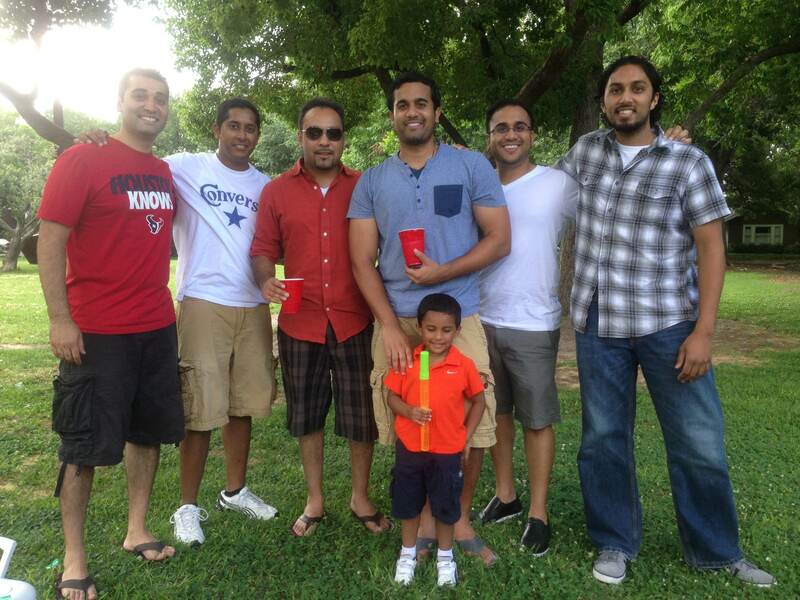 These are some of the guys I grew up with, so its always nice to spend time with them. 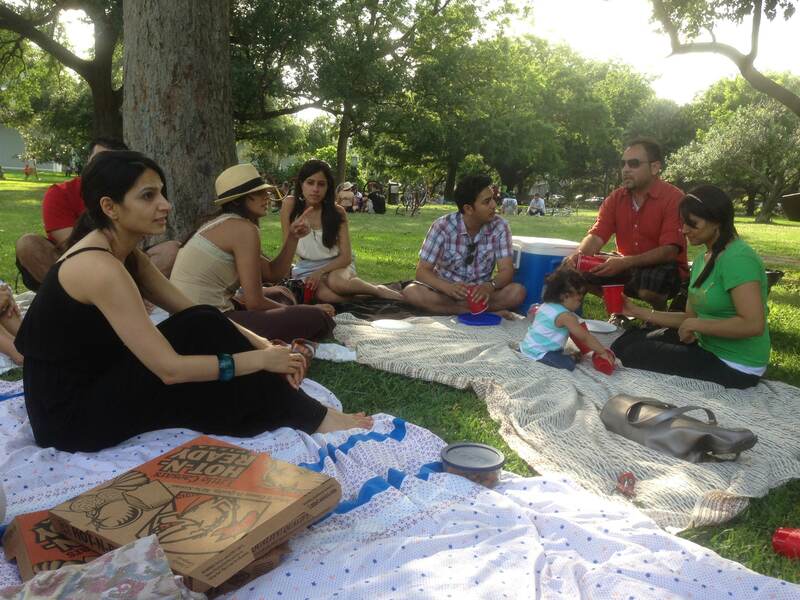 Our circle has grown since wives and babies are in the mix now. 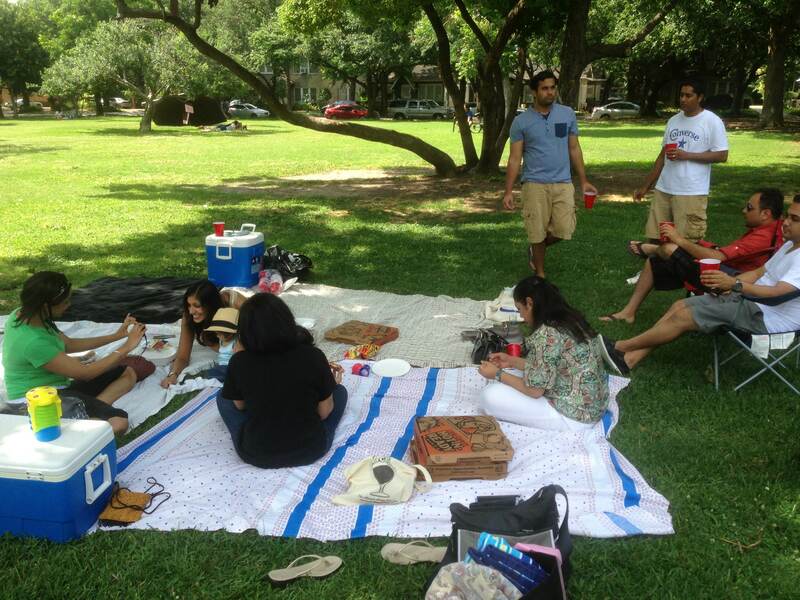 Here’s some pics from our picnic. Later on some more friends came an joined us. After a little while, Layla started to get tired and restless, so we decided to head out. Remember the gig I mentioned earlier, well it was scheduled to end around 1am, so Pokie (my friend/business partner) and I headed out to handle it. Once I picked up Pokie, he noticed my gas tank was empty. He made the comments to fill up, but assured him that my gauge is broken and I’m tracking my gas by mileage. Everything went smoothly for the gig and we started to head home. We did our usual run of putting everything back into the warehouse, but we were a lil hungry, so Jack in the Box was our answer. We got our food to go and I dropped Pokie back off at his house. On my way back home, my truck suddenly stops going… I press the pedal and there is no response… I ran out of gas… Apparently, I didn’t know my truck well enough. So it’s about 2am and I’m rolling down the street hoping that it’ll coast all the way to the nearest gas station. The corner I was approaching had 2 gas stations. The one closest to me had some damage from a severe storm, so that was closed. My only hope was to roll through the light and up the ramp into the 2nd gas station. Where did y’all think I stopped?….. That’s right! In front of the gas station that was closed! So I look around and there was nobody on the road. I jumped out of the car and tried to push… did not budge. At the intersection, there’s a slight incline that I couldn’t get over. Being that it was 2am, my options were limited… Since I knew Pokie was awake (I just dropped him off) I called him to bring a gas tank over to me. I was a little reluctant because he mentioned earlier that I needed to fill up. Needless to say, he came and helped me out because he’s just that good of a friend. But he also had grounds to clown on me as well… which was welcomed. Finally, by 3am I’m home and ready to eat my Jack in the Box. Although cold curly fries are not that tasty, being safe and sound at home is enough reason to not complain about it.